Our Journey started with high winds delaying the flight out of Heathrow. We were scheduled to stop in Casablanca but desert fog made landing impossible and after two aborted attempts, the pilot made the decision to keep going to Marrakech. We had ordered a taxi to pick us up from the airport to take us to our Riad. The driver, dressed in clothes that hadn't seen water and soap for.. well ever greeted us with a friendly smile and led us to the car park where he told us to wait. A minute later his clapped out fiat from the 1970s was chugging us all on our way to the Medina where our Riad was based. Arriving in the dead of night in a narrow road near the Royal Palace, the driver started escorting us and our luggage down an even narrower dimly lit street, through the pile of rubbish, and round this corner and the next. Suddenly i got the feeling that if he was leading us into a group of his fiends waiting to mug us then here in this place, there wouldn't be a damb thing i could do about it. My wife and i shared a look that spoke a thousand words.. but to summarize.. where the hell is he leading us and this isn't at all what we expected! At the end of another alley he stops and knocks on a wooden door, it opens and suddenly we were looking at a beautiful inner quad of our Riad. My fear began to fall away, and were replaced by shame that i had thought such horrible things of our driver. From that moment on i decided to keep an open mind. We were led to our room which was spartan (no TV, no phone, no fridge) but clean, and very comfortable. We dropped our bags and although we wereÂ tired we needed a walk to stretch our legs after the 3 and a half hour flight. With the help of the very kind and friendly staff we set on our way through the dark streets to the main square. The Main square was pulsing with life, food stalls, merchants of all kinds, performers including snake charmers, and musicians were spread out over the square, with restaurants surounding the square itself. From a distance all you could see was the bright lights of the food stalls and the smoke from the cooking rising above the crowd. I felt as if i'd stepped back in time. The next day we walked to the Gardens of Majorelle. We almost died on the way due to the thick pollution, i don't think the've heard of catalytic converters yet, although i read in the guide that the King was trying to clean the air up. The smog from the cars is unbearable once you leave the medina, you get to the main roads and your nostrils start to burn. But in the garden we were fine, sealed of from the outside world. We took a taxi back to the medina, entering on the eastern side of the city walls, we went to see the tanners and then on to the museum of Marrakech. Thankfully we foundÂ our way simply by asking every five minutes which way to turn. The museum itself was architechturally more impressive that its artwork hanging from the walls, so we didn't spend to long. We spent the rest of the afternoon wandering the medina, and then in the evening we went to Chez Ali, a fantasia show on the outskirts of Marrakech. You eat in a tent, typical lamb and couscous, with dancers and later in the evening they put a show on for you including mock battles, dancing and fireworks. 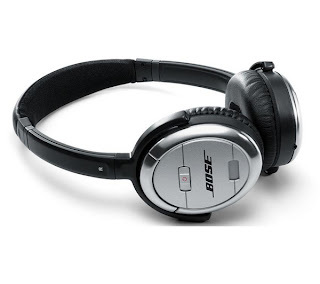 Bose Quiet Comfort 3 headphone charger not working?